11/28/17 Changed misidentified shattuckite to scholzite. It's that time of year again. SoCal FMS meets up at Jim's house to view the minerals he's collected. This time it was a theme rather than a special guest - African minerals. Alas my collection of African fluorescents was practically nonexistant. I don't really collect based on a continent. However, this didn't stop some of our members. Jim had quite an amazing collection of African fluorescents that he had collected over the past year, some of which I had absolutely no idea about. Here's a 360 of all of the minerals. Some of the highlights are red manganocalcites, purple fluorites, orange sphalerite, green hyalite. Behind the starting point you can see some green fluorescing scholzite with some blue hemimorphite. 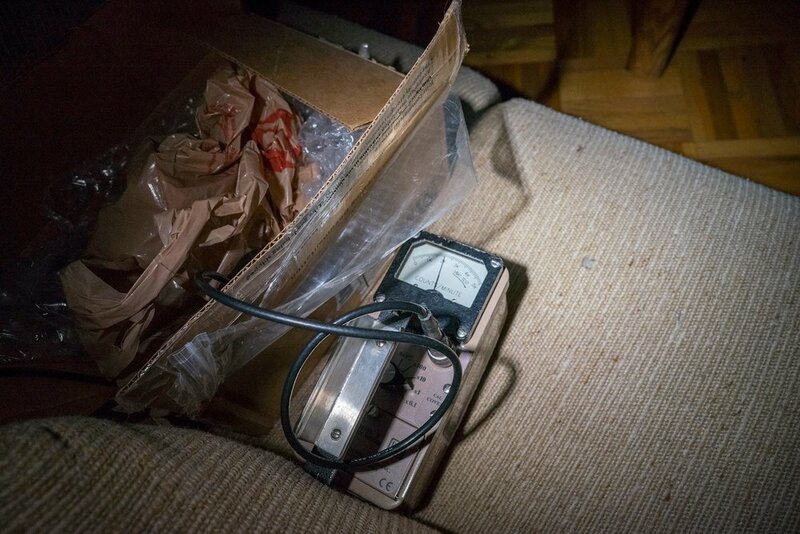 Among some of the technical discussions that occured that night were instituted by a Ludlum geiger counter. Some of the minerals on the table ended up being slightly radioactive but this was before I got to the meeting. On top of that was the latest innovations in the SW LED world. I brought some of the brightest that were available at the time in 265nm and 275nm binnings. We determined that they were about as powerful as a 4W bulbed lamp. Color rendition is still a bit of a struggle with the reference Franklin material that we used. Specifically the calcite. While 265nm rendered the reds they weren't that bright. About the equivalent of what you'd see if you were to use my much brighter LW light. 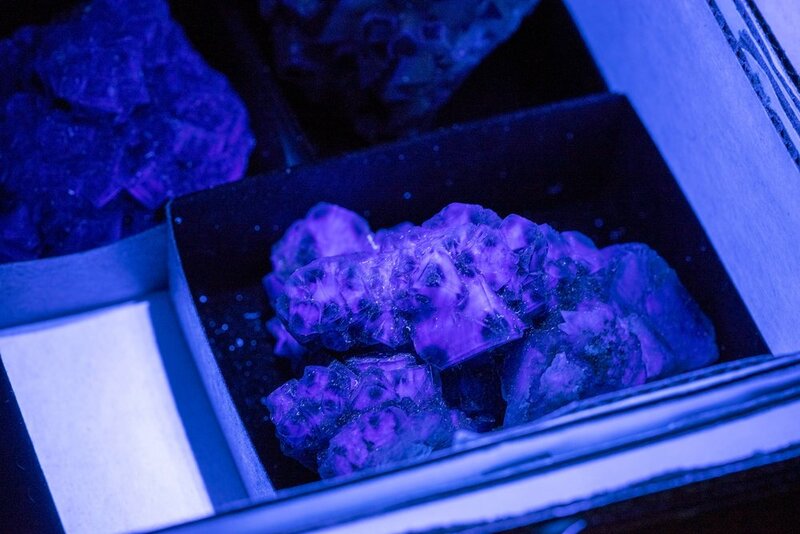 However, 275nm hardly rendered the calcite as all, proving that the peak activation of the Franklin calcite is lower in the UV spectrum. Lastly are the minerals that caught my eye. To start off there's the bright orange tarbuttite. There were also some interesting phantomed and zoned calcites and fluorites. In addition Jim had obtained some of the very rare Skorpionite from the Skorpion mine. In Todd's possession was an interesting ruby specimen. Normally they fluoresce red but that one also had orange!